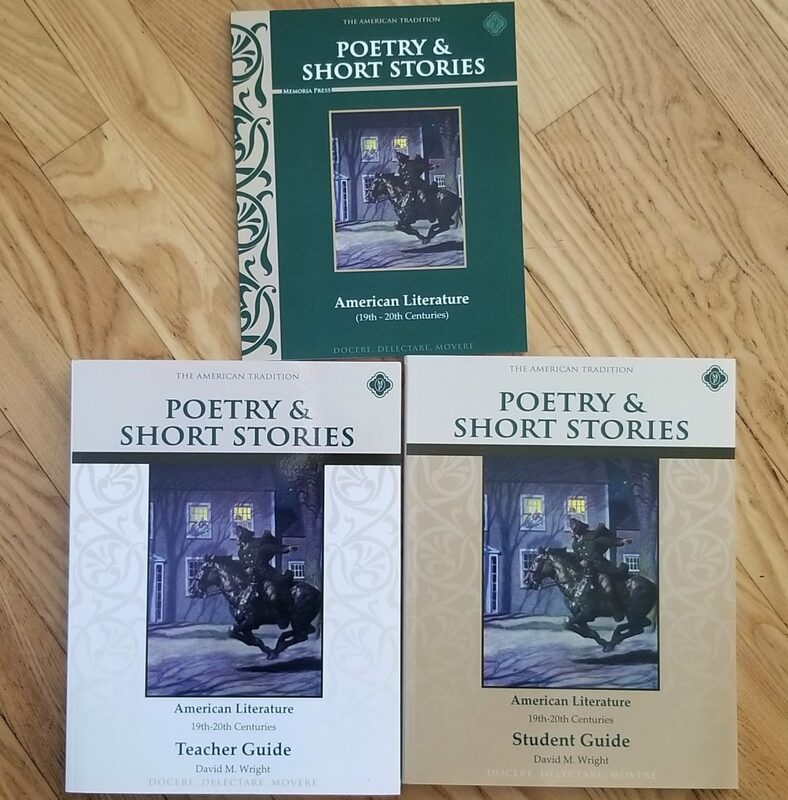 My high school student has been working through Poetry and Short Stories: American Literature Set from Memoria Press for review as part of the Homeschool Review Crew. As always, all opinions are our own. My boys love to read. What they balk over at times is digging deeper into a selection. While I am all for reading entire books and discussing the main takeaways, it is nice to have shorter selections that allow for critical review. That is what caught my eye when I first saw Memoria Press’ Poetry and Short Stories: American Literature Set. 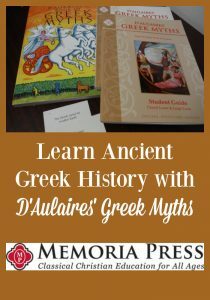 Many students in high school and college programs quickly become familiar with anthologies. Those are the textbooks which gather together several selections to be studied over the course of a year. Some high school texts, though, only give you a snippet of a selection to hit on a key concept. 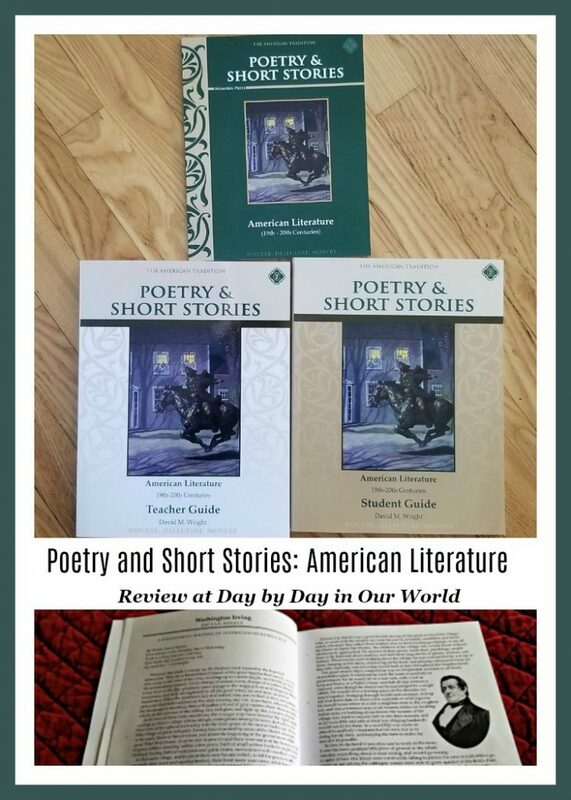 The Poetry and Short Stories: American Literature Set from Memoria Press has its focus on American Literature using just poems and short stories. There is no fear of getting just a glimpse at a selection as they read the entire thing. The set is softcover bound books. There is the book with the selections (dark green cover and thin!) You’ll also need the student guide and teacher guide. Selections are studied by the author with most featured authors have multiple works to read. All are curated from the 19th and 20th Centuries. The Appendix includes a few key British Poetry selections as well. 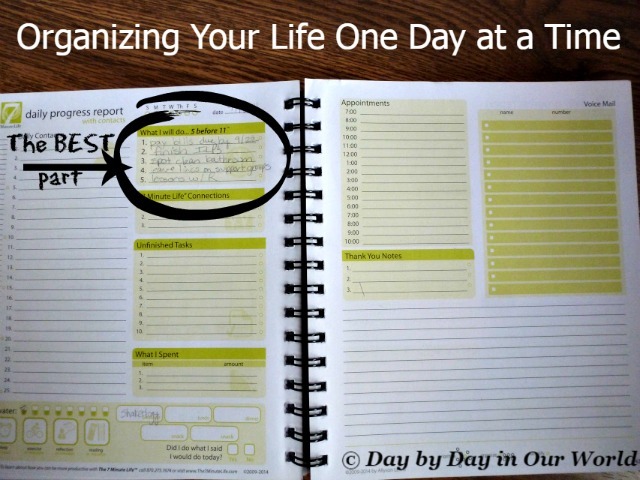 The Student Guide is workbook format with room for them to respond in writing to the different prompts. In the Introduction, they are presented with a way to highlight the text as they read to help pull out the key points that lead to discovering the Central One Idea. The Words to be Defined section includes a definitions bank for them to match with the highlighted word in each excerpt. There is also a notation of where in the text to find the phrase from a sentence. Comprehension Questions include a mix of multiple choice, fill in the blanks, formation of lists, and descriptive answers. Socratic Discussion Questions ask the student to dig a little deeper beyond your typical comprehension. They have to apply logic and reason to respond based on what they have read. Like the Comprehension Question section, they will find a variety of response types (multiple choice and written) to complete. Finally, in the Rhetoric section, they write what they perceive to be the Central One Idea with the need to support why they came to that conclusion. Then, they are presented with the teacher’s expression of the Central One Idea with a space to record it. There is also an essay option presented for a short 3 to 5 paragraph essay as the final product. Within the Teacher Guide, you find suggested answers for the Grammar | Presentation sections Student Guide. There are also reproducible pages for the Essays and Tests. The tests are typically by author (so multiple selections) with a few based on a single selection. An answer key for each test is also provided. Unlike some programs, no one selection in this collection is very long. However, don’t let the length of the reading fool you. The materials are set up to explore more as well as build vocabulary. In years past, my son loved to do workbooks. There is something comforting with filling in the blanks and getting mom to grade it for accuracy. However, he has been less enthusiastic about what he now considers busy work. 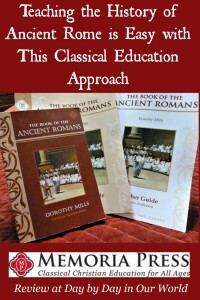 The homeschool parent can choose how to use the Student Guide as needed, although completing it as written is recommended. So, for this review, we modified our approach somewhat. He read the selection and then we did most of the Student Guide pages orally. The one part that he will fill out was the test for each selection. I do enjoy verbal discussion as sometimes you dig even deeper into a topic. However, as I graded those tests, I did notice how completing one section of the student guide could have helped him more. That would be the vocabulary pages. Why would I now want him to take the time to fill those few pages out? Because when he prepared to take the test, he would have additional reinforcement of the definitions. It is typically the only section of the tests where he misses questions. Since I know some people enjoy seeing things ‘in action’, I recorded the video walkthrough the curriculum. Along with highlighting what is included, I have some of our thoughts about the curriculum and how it works for us. 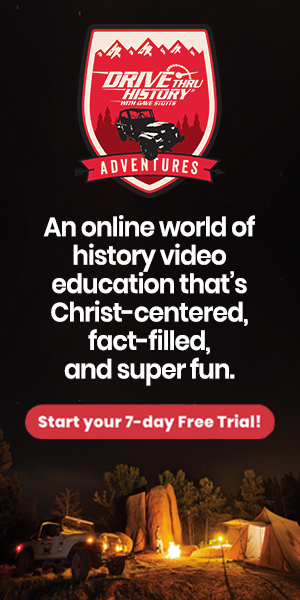 If you want an easy to implement curriculum, this definitely fits the bill. 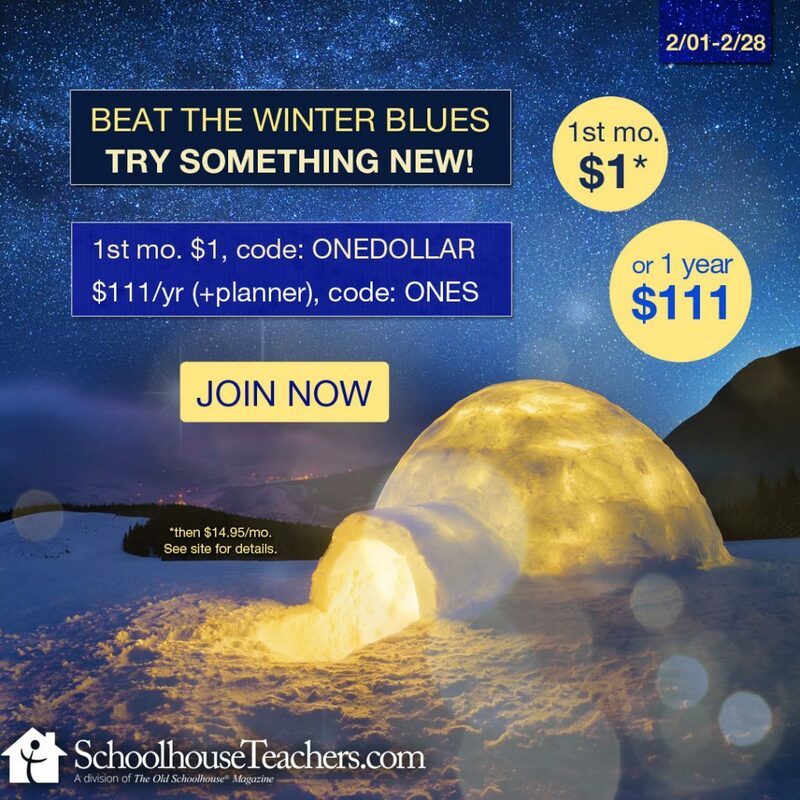 The materials are more workbook heavy than some programs, yet that’s part of what makes it easier to implement as a homeschool parent. 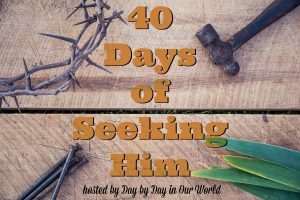 If your homeschool student hates to write and refuses to do workbooks, then this may not be the best fit for you. Although, we are enjoying going through the selections without doing all the associated writing. 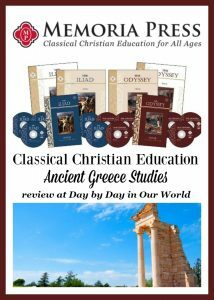 We’ve been blessed to have used several different curriculum options from Memoria Press as part of the Homeschool Review Crew. Click on the images below to find past reviews. 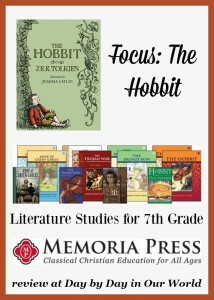 Do you and your family enjoy literature studies? 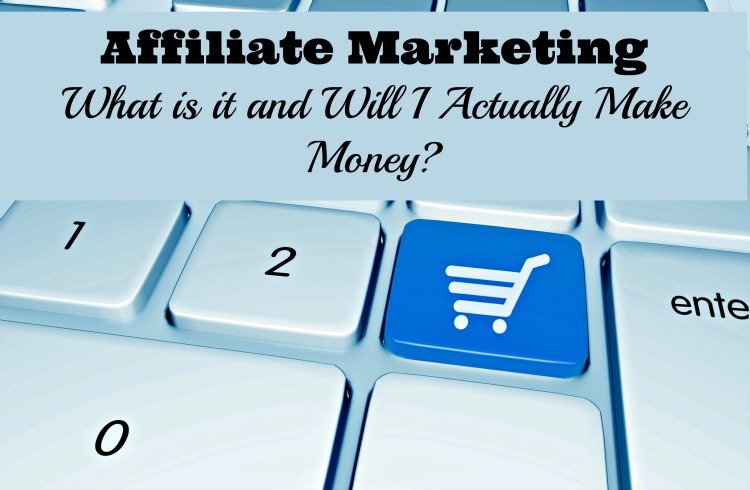 Would this particular program be appealing to someone in your family? Don’t just take my word for how we found this to be. 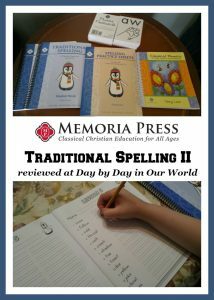 Visit the Memoria Press #1 for 2019 review post on the Homeschool Review Crew website to see what other homeschooling parents thought about this book.